At the weekend, Sydney FC beat the Newcastle Jets and made A-League history by bringing their points tally to a record 66. They are now 17 points clear at the top of the table, a position they’ve held for 27 consecutive weeks. They are the most successful team in 40 years of national football in Australia. Now the best want to be even better. The club is in the midst of a digital transformation that goes from the players on the pitch to the fans watching at home and, according to CEO Tony Pignata, will help them future-proof their leading edge for years to come. This season Sydney FC have been wearing GPS tracking and heart rate monitoring vests made by Polar Team Pro devices in training sessions to collect data that informs coaching and medical team decisions. Similar systems are in use by the Australian national cricket team, and across the AFL. To further support the use of player performance data, the club is currently considering the roll-out of wireless infrastructure to cover its Macquarie University training ground. “If used appropriately, sports science may be the advantage you have over your opposition,” said Sydney FC’s head of high performance Andrew Clark. “[The monitoring has] become an integral part of everything we do in regards to daily training session planning, in-session live monitoring and post-session analysis. “The system gives us a time efficient method of collecting, live reviewing and downloading relevant training data to inform our daily training decisions. Post training and match we are able to analyse deeper via the software or raw data export for further analysis and research,” he said. The club’s managed service provider (MSP), Sydney-based TechSpecialist, is planning the deployment enterprise-grade wireless technology at Macquarie to facilitate these analytics capabilities, which will boost the club’s capabilities around benchmarking and injury recovery. It will also help support the increasing use of video to analyse performance and discuss tactics on the training pitch. “At Sydney FC, [these technologies] play an important role in objectively informing coaching and medical team decisions, and these better informed decisions are what is driving our success,” Clark added. The technology focused club is far removed from how it was a decade ago. Sydney FC had been running its ICT systems and applications in-house with limited resources. The limitations were starting to show – staff were physically transferring large files using USB memory sticks and external hard drives to bypass sluggish infrastructure – prompting an audit and risk assessment. “We interviewed people in our business on their vision for Sydney FC and the challenges they were facing in the use of our communications tools and IT systems,” says Pignata. Read more Do you wish your boss was more...dead? The report, carried out by TechSpecialist addressed risk and compliance issues, and sought ways to increase production and provide operational insights. 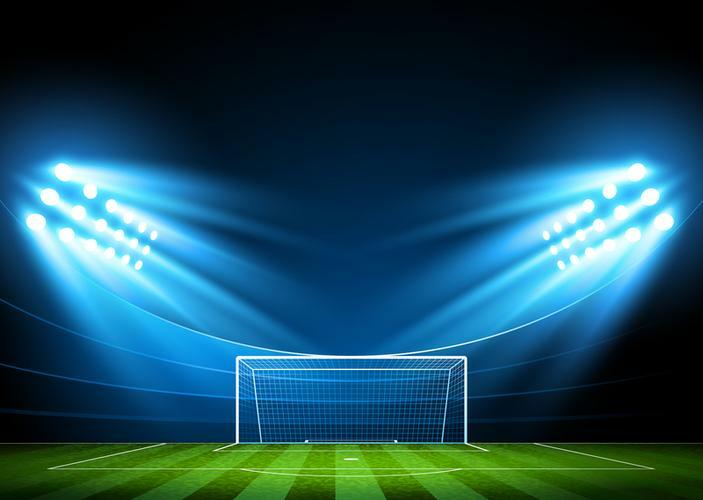 “We heard very clearly from the organisation that Sydney FC needed technology that future proofed the club to meet its growth strategies, and also bring to life its vision to be innovative, both on and off the field. We immediately identified a number of systems that wouldn’t scale,” said Dushern Pather, CEO, TechSpecialist. The MSP delivered a list of recommendations, cataloguing the club’s myriad dependencies and IT risks. “There were three immediate priorities that we addressed; building in disaster recovery capability, improving our data storage capacity and tightening up access controls across the organisation,” Pignata says. TechSpecialist set up a hybrid of on-premise and co-located servers for high-availability services and a private cloud infrastructure. “The improvements that TechSpecialist are making to Sydney FC’s storage infrastructure, network throughput and overall system stability is making a significant difference to the way the office team operates,” Pather added. This year the club refreshed its communications environment, implementing a ShoreTel Connect Unified Communications (UC) solution on a virtualised VMware environment with full redundancy. The deployment replaced a decade old a telephony system, plagued by drop-outs and un-rectifiable faults, which had been installed when the club first took possession of its office space at Allianz Stadium. “Our staff were pretty excited with the new software, and it is far more user friendly and easier to access day to day features such as voicemail and the transfer of calls. We’ve only introduced about half the functionality of the UC system so far, to give our team a chance to get used to the change,” says Pignata. Future functionality will include integration with Sydney FC’s CRM system to aid the membership team and marketing functions. Following qualification to the Asian Champions League, the club is planning to extend its ShoreTel UC environment to the mobile devices of travelling coaches, physiotherapists, analysts and players. “Our coaches, players and physios don’t sit at an office desk, so they really rely on their mobile phones. With a UC mobility solution in place, it will make it so much easier for our football department to connect with each other, and also with our staff back in head office – making use of Wi-Fi facilities in hotels and venues when they are travelling for away games in Asia,” says Pignata. With infrastructure in place, Sydney FC is now seeking to innovate across the organisation to help it maintain its top spot on the field and among fans.